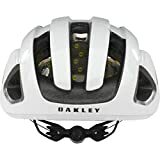 Here is a quick review/first look at my new Oakley ARO3 helmet! This thing fits like a glove and has awesome ventilation! 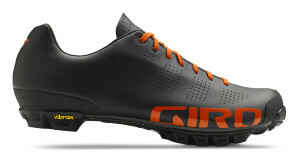 As I mentioned in a previous post I recently upgraded to a pair of Giro Empire VR90 cycling shoes. I’ve had them for a few weeks now, and while old man winter has hampered my riding outdoors, they have been worn on all my trainer rides since their acquisition. I have nothing but praise for these shoes and could easily recommend them to anyway. They are also very sharp looking, matte black with “glowing red” letters and laces. The only down side to that is I had nothing else in my kit to match their red color. So after pondering that dilemma, I figured that the two constants that I always wear, no matter that kit I’m wearing, is my helmet and my shoes. 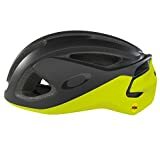 Since the box was already checked with the shoes it was time to go helmet shopping! 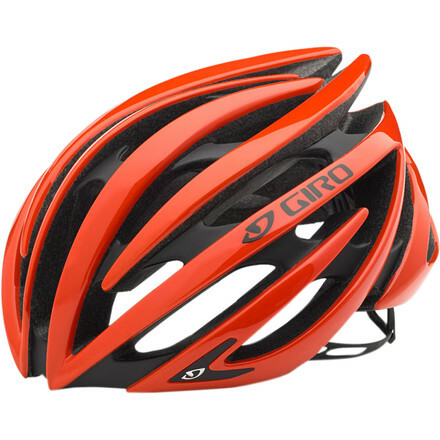 I had a few on my short list that interested me, like such offerings from Kask or Lazer, but ultimately I went with another Giro product – the Aeon helmet, of course in Giro’s glowing red color. 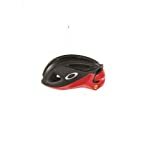 This is a serious helmet that is top of it’s class. Prior to this year it was Giro’s flagship road helmet for several years. That top spot is now occupied by the Synthe, but that doesn’t mean the Aeon still doesn’t deserve accolades. It has some awesome ventilation and is super light at a claimed weight of 222g for the US version (actually lighter than the Synthe). Mine weighed in at 226g. In either case when it arrived I questioned if there was anything in the box it’s so light. It actually makes my old Specialized Propero feel like a boat anchor. The fit of the Aeon is supurb. Like most helmets you need to adjust the straps around the ears to preference and then let the RocLoc 5 system to the rest. After a little while you almost forget the helmet is even there. 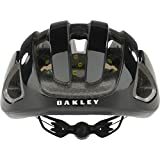 Most importantly the Aeon provides ample spots for me to perch my Oakley Radarlocks when not needed for sun shielding activities. 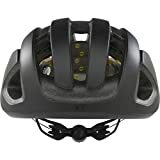 I’m not sure I could ask any more of a helmet. Well there is one thing, but lets hope that never needs to be tested.